Curious Stone:- Who Drilled The Holes In This Million Year Old Stone? Located in the Mediterranean Sea are a set of Spanish islands known as the Balearic Islands. 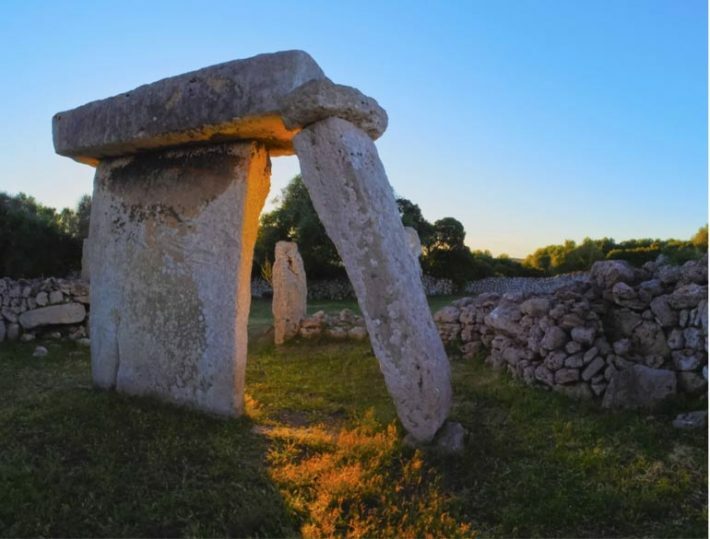 One of those island, Menorca, is home to an impressive collection of megalithic stone monuments called the taulas. The origin and purpose of the taulas is unknown, although they are the works of prehistoric humans. There have been several theories surrounding the mystery of the taulas, generally focused on religious or astronomical purposes. Some believe they are a religious symbol. Others believe the taulas served as a temple of healing. Finally, there is a theory that the taulas were aligned with the movements of the moon. Menorca is a small Spanish island with a population of approximately 94,000. It reaches to 1,175 feet (358 meters) above sea level at its highest point, and 37 miles (60 kilometers) across at its widest point. 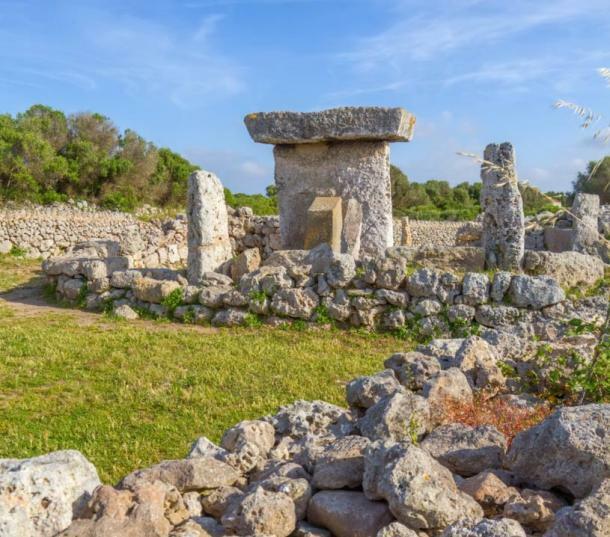 During prehistoric times, Menorca saw a variety of cultures and peoples, including Jews, the Vandals, the Byzantine Empire, the Crown of Aragon, Islam, Britain, and Spain. 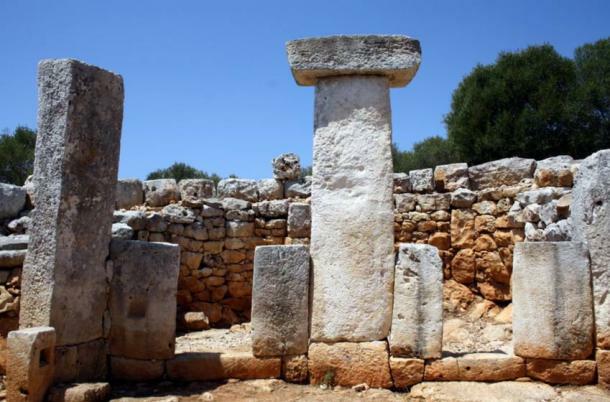 What Menorca is most well-known for are the thirteen taulas. These stone megaliths are said to resemble Stonehenge, and many have wondered about the mysterious origins of the taulas. The word taula means “table” in Catalan, which is one of the primary languages of Menorca. The taulas are t-shaped, with a large, flat, horizontal stone perched upon a tall vertical stone, and surrounded by a U-shaped wall. The tallest taulas reach 12 feet high (3.7 meters). For many years it was believed that the taulas were topped with a roof. 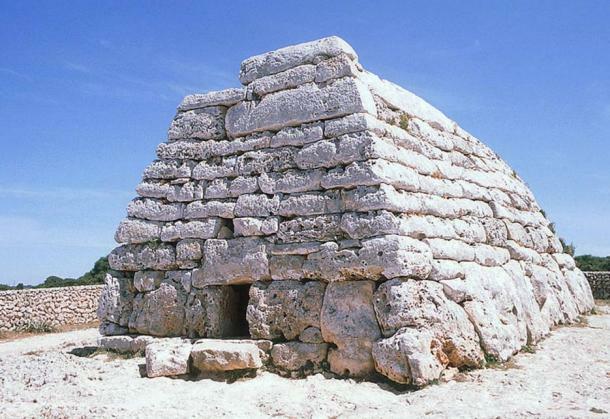 However, researchers ultimately agreed that the structures did not include a roof. The evidence available suggests that a sacrificial fire pit was located at the front of the taula, with which a roof would be impractical. The taulas are a sight to marvel, considering they were constructed well before the invention of heavy machinery, or any other mechanisms to assist with heavy lifting. It is fascinating to imagine how our prehistoric ancestors were able to lift these giant stones into place, creating well-balanced structures that would withstand the test of time. It is believed that the taulas were constructed sometime between 1000-3000 B.C. by the Talaiotic culture. Many have tried to determine why the taulas were constructed and what meaning they held. Clearly a structure that would take such effort to create would fulfill some important purpose for those who constructed it. There are several theories as to the purpose the taulas served, each offering a potential glimpse into the culture and lifestyle of the Talaiotic people. One theory is that the taulas served as a temple for the god of the Talaiotic people. There are no indicators of which religion they practiced or what they called their god, but a discovery during excavations has led one researcher to theorize that they may have worshipped a bull god. Researchers were excavating a site known as Torralba d’en Salort when they came across a bronze bull figurine, which may have sat on a shelf within the Torralba d’en Salort as an item of worship. The bull was found among other artifacts that are said to resemble items of worship that would be found within a church today. 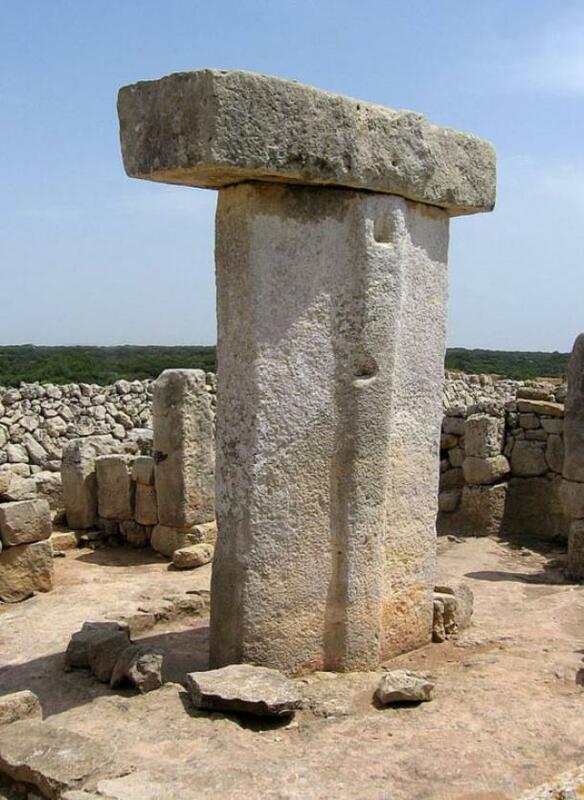 The bull figure is of special significance because the first people to ever inhabit Menorca came from Crete, and the bull played a prominent role in their culture. Spanish archaeologist J. Mascaro Pasarius was the first to suggest the idea of a bull god, with the slabs representing the face and horns of the bull. This theory has not been widely accepted. Another theory is that the taulas are a place of healing. Under this theory, the taulas were oriented to the Centaurus constellation. The healing theory has been bolstered by items that were discovered during an excavation of the taulas: an inscription reading “ I am Imhotep the god of medicine ” and a bronze horse hoof, which represents the Greek god of medicine, Asclepius. Over the years, the Centaurus constellation became harder and harder to see, and was barely visible at all by 1000 B.C. This may explain the eventual abandonment of the taulas, as they would have become irrelevant when the Centaurus constellation was no longer visible to the Talaiotic people.